Brian Smith, Donald Uzarski and S.C. Wong (Editors) Kelvin Wang, "Applications of Advanced Technology in Transportation"
Applications of Advanced Technology in Transportation contains more than 130 papers presented at the Ninth International Conference on Applications of Advanced Technology in Transportation, which took place August 13-16, 2006 in Chicago. The technical areas of the papers include Infrastructure Management and Transportation Operations, Advanced Operational Technologies, Transportation Modeling, and Transportation Planning. 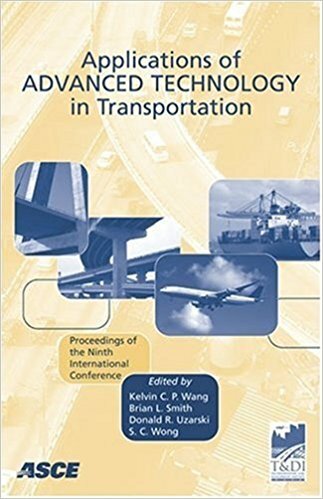 The proceedings also address technical advancement in transportation engineering in developing areas of the world as a result of industrialization, modernization, and globalization.